Drone became to be taken up frequently in the media since 2015. I think that attention will gather more and more from now. Among those who are viewing this homepage, is not there some people who think that “I should probably buy one at a time soon”? I think that one who is taking a second step with most of it. I also want to work on drones in the future! Even if you do not know whether you are suitable for drones or not if you do not actually manipulate the drones. For that, we also recommend “Hobby Drones” at around 10,000 yen at the beginning. And for drone now price is also 5,000 yen for toys that can be played in the room with a bit of pride and there are things like 3 million yen for expensive items. Recommended for introductory items will be less than 200 grams of cheap toy lolne outside legal regulations. Besides, drone of 200 g or more is subject to regulation and the place to fly is limited. Therefore, we recommend you to use Toy Lone below 200 g for those who purchase drone for the first time. One thing to keep in mind is Toy Lone has a habit of manipulating the controller quite a lot. Conversely speaking, if you can freely control this, full-scale drone operation such as Phantom will be much easier. So, this time, if you buy a drone for the first time, I will introduce a good drone if you buy it for the first time based on the criteria for selecting Toy Lone. Travel Tips | What is the regulation below 200 g! Is it? However, it is a drone with a weight of 200 g or more that is subject to regulation. In other words, the drone weighing less than 200 g is not subject to regulation. For example, “propeller guard”, “camera” “antenna” “video transmitter” and so on is also the object. Because it is light and less than 200 g, it seems to be handled as a toy by choosing a drone with a propeller guard, because it is difficult for big injuries to occur even if you hit it. There is also the merit that there is little risk of damage to the drone itself even if it crashes. By the way it is the size of 100 g drone, it will be like this. When playing outdoors with 1 ten thousand yen drone, Holly Stone’s drone is the best cosplay! It is! While the price is about 10,000 yen, enough functions are added enough. Two batteries are attached. Battery charger is also pointing at 2. Because it is possible to fly for about 10 minutes with a single battery, you can skip a total of 20 minutes. The steerable range is 50 to 100 m.
By linking with applications of smartphones, it is also possible to shoot videos and photographs by aerial shooting from the “bird view” point of view. It takes a little time to get used to operating, so if you can handle this “Holy Stone” somewhat, the phantom’s piloting will be really easy. I myself practiced Phantom 4 and this “Holy Stone” drone alternately during the 1st day training, but this was pretty good! Because they are quite distinctive in terms of maneuvering, in order to get used to the drones, it really is useful even after purchasing Phantom etc. · I can not practice in the room. Because there is a moving speed, you will crash the ceiling or wall as soon as you fly. Although it may be possible if the room is wide to some extent with arms, it can not be said that it is not suitable for indoor practice. · Japanese manual is too confusing! The most difficult thing when I bought this was that I had no idea how to go from opening to the first flight. This is the model I purchased for the first time. Since there is an article commenting out clearly from the opening to the first flight, please refer to it as good as possible. If you can watch the video, you will understand, but fly at a fairly high speed. Therefore, although it will be a training of maneuvering, this speed is difficult to practice indoors. However, as I mentioned above, this speed feeling is quite hard before I get used to it, but as I get used to it I feel really refreshingly fun. If I had flight near my child, my child could not practice at all because I was robbed by my child. The previously introduced Holy Stone company: X300c (104 g) smartphone is not cooperative version. The price is around 8000 yen, which is cheaper than the model introduced earlier by 4000 ~ 5000 yen. Although this one is cheaper in price, the controller gets cooler than the previous one. To be honest, I do not use cooperation with the smartphone of x300c introduced earlier, so I think that it was enough here. Well compare the price and function, I think that it is good to worry about whether to make this to the upper model introduced above. It is a drones of Parrot company of Drone Oguzeki one corner. This is the latest drone released in October 2016! Parrot’s drone is a high-performance, manufacturer that features “fun things and individuality”. The drones themselves are shaped like a face, and attachment will spring. You can also grab things further, so if you take it with a home party or BBQ, it seems to be the second w.
If you start drone from now you might buy this drone. Dobby | The best model with drone below 200 g. It may be used for commercial purposes as well! Is it? Recently (around September 2016?) It is the best model with drone below 200 g which is sold at the present stage. As for selling “cell feed loan”, it is possible to make it fly easily and cheaply while being pocket size. The biggest feature is to say anything, high quality camera function and outstanding stability. Probably the first “active track function” is attached at less than 200 g.
Active track function is a feature that makes it possible for the drones to recognize the target, to automatically track the professional face for automatic tracking. Although I often make suggestions on this site, is not it “200 g or less” or not, which is one of the keys for Japan’s drones? Whether or not you can freely fly in Japan with this “200 g” as a boundary will change greatly. From now on, there is no doubt that commercial use of “Drone” increases in various scenes. In densely populated areas such as Tokyo, this “200 g” is pretty effective for use in “aerial shots” or “inspections” using drones. Currently this model is still the best, but I think that breakthrough the wall of “200 g” in the future and that ultra-high performance drone will gradually spread to Japan. Moreover, as the price and function of the drone itself progresses downsizing and the functions are also enhanced, the awareness level for general users will increase more and more. In my prospects, starting with this “Dobby”, perhaps I am striving to see explosive increase in Dron ‘s awareness degree of popularity around the next version upgrade released this time. If I start drone from now, in anticipation of commercial use of 200 g or less, I will purchase this “Dobby” first. Combining this with DJI’s “Phantom”, it can be said that the combination of the best cost performance as of October 2016 as a commercial use of the drone. Approximate size of the drone to practice indoors is about 50 g.
However, if you practice outdoors so lightly it will easily fly by the wind, so it will be unsuitable for outdoor practice. Even in the 100 g class, it flows considerably in the wind. It is a wonder that the optimum weight for indoor practice and the price is less than 5000 yen. It is amazing that you can buy a drone flying in the sky at this price. Only indoors are fine! For those who say, this is recommended. With a total length of 22.5 cm, a weight of 157 g and a 6 axis sensor, the drone with high stability is here! Above all, recommendation points are capable of loading full-fledged cameras such as GO PRO, while excellent weight of less than 200 g! In addition, it is possible to choose three flight modes, “beginner” “sports” “expert” according to the level of the pilot. The animation operating RC EYE ONE Xtreme is here! | As long as you are skilled as long as you watch videos, it seems that you can do pretty precise maneuvers. Slightly short flights and somewhat less than 20,000 yen are sometimes scratches. However, it is very attractive that GO PRO can be loaded with less than 200 g.
GALAXY VISITOR series which dragon beginners can enjoy easily! The biggest feature of GV 7 is that you can shoot full HD movies. If you want to grab the feeling of practicing with camera function and FPV, GV 7. However, it costs more than GV 8, with the camera function installed. Anyway, those who want to practice skipping drones will feel like GV 8. A model with a high stability with a palm size of 14.7 g in weight is here! It is the best model for playing in a small compartment. The disadvantage is that there is no battery! Summary | Let’s start with Hobby Dronne! There are many models that you can buy enough drone below 200 g for affordable price around 10,000 yen and play well enough. Also, stability and controllability are not good compared to full-fledged models, and conversely it is best for practice. 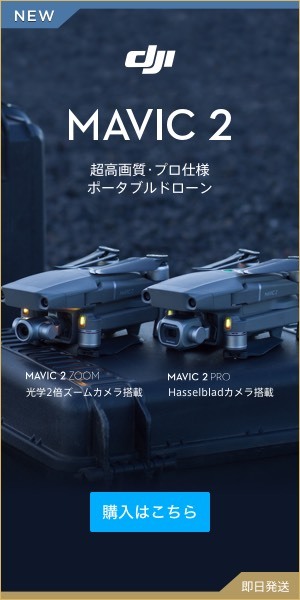 After all, compared with Phantom etc, I can not deny that it is “toy lolon”, but if it is a drone introduced this time any one can be done at about 10,000 yen so far! Only things that are impressed. First of all, how about getting these drones and seeing what it’s like with your skin?